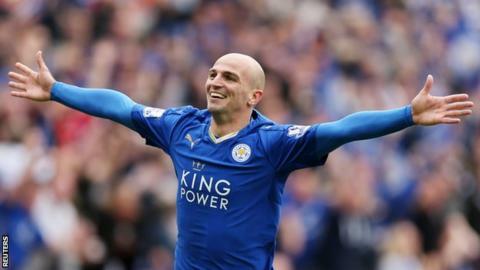 Argentina midfielder Esteban Cambiasso has rejected an offer to stay with Premier League side Leicester City. The 34-year-old joined the Foxes last summer on a one-year deal, which expired last month. New manager Claudio Ranieri said he had spoken with Cambiasso about a new deal and urged him to "please come back". But the former Inter Milan and Real Madrid player said in a statement: "I have decided not to renew my contract with Leicester City." He added: "I have taken this decision only 24 hours after receiving the proposal from Leicester because I want to give the club as much time as possible to find an alternative." Cambiasso was the club's player of the year last season as he made 33 appearances in all competitions, scoring five goals. Leicester struggled for much of the season but won seven and drew one of their final 10 games to secure top-flight survival. "I have lived one of the most important years of my career," he said.